Over the past years, the Military Region 9’s Military School has promoted its role as a hub of defence and security education, meeting the requirements of building strong all-people national defence and people’s security in the Military Region’s area of responsibility. Besides the task of training troops of the Military Region’s armed forces, the Military Region 9’s Military School is assigned to provide knowledge of defence and security for 2nd group of cadres and college students in the area of responsibility. In 2017, the school organized 7 defence and security education courses for 924 cadres of the 2nd group and 3 courses for 480 students in cooperation with colleges in the area of Soc Trang province. With a sense of responsibility and great efforts, its quality of defence security education has unceasingly improved. That has been expressed in learners’ flexible application of knowledge to their performance of task, which has been highly appreciated by units and localities. To achieve that result, the School’s Party Executive Committee and Board have focused on adopting measures as follows. First, the School’s Party Executive Committee and Board have concentrated on raising awareness and responsibility of its staff towards the task of defence and security education. Annually, the school holds defence and security courses for about 30 groups of learners with 40 different programs. As the number of learners taking defence and security courses covers a small proportion of the total of the school’s learners, and the duration of each course is short, it is hard for the school to successfully fulfil this task unless instructors and learners heighten their sense of awareness and make elaborate preparation. 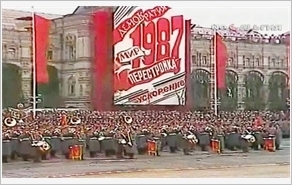 Against this backdrop, the School’s Party Executive Committee and Board have directed offices and units to continue to introduce the Law on Defence and Security Education, the Politburo’s Directive 12-CT/TW, the Government’s Decree 116/2007/NĐ-CP, National Defence Ministry’s Circular 38/2014/TT-BQP, and the Military Region’s resolutions, directives and guiding documents on the work of defence and security education. Grounded on those documents, the school issued directives and plans for the sake of the consistency of leadership and direction. Moreover, due attention has been paid to synchronously taking measures for the implementation of the task, which include making plans, cooperating with units and localities in dispatching cadres to study at the school on schedule, grasping the quantity and quality of college students, preparing program, teaching and managerial staff and facilities. During the course of implementation, importance has been attached to assignment, decentralization, and responsibility of offices and units, while the quality and result of education has been attached to evaluation of capability and task performance of each individual and collective. Consequently, that has helped achieve the consistency in awareness and action and opportunely encourage the staff and learners’ implementation of the task. Grounded in the Ministry’s fixed curriculum, and guidance and direction of the Military Region’s Council for Defence and Security Education, the school has actively developed the curriculum in accordance with each group of learners. Amidst the development of practice, the school has formulated plans, designed topics and lessons, and updated the Party and State’s new viewpoints and policies as well as the situation related to local defence and security. As for the 2nd group of learners, the designed content has met both the general goal and the requirements set by their positions, with significance attached to drawing lessons on performing the military, defence and security tasks in localities. The goal of education is that knowledge acquired after a course will provide the basis for learners to raise awareness, responsibility, capabilities of management and operation and well play the role as advisers to party committees and authorities on leading, directing and implementing the military, defence and security tasks as well as building local armed forces. annually, the Military Region organizes district-level defensive zone exercises which meet the stated goals and requirements but still expose weaknesses in content and method to operate the mechanism for leadership, direction, and command. To deal with these issues, the school has carried out a Military Region-level research called “Improve the quality of operating the mechanism for district-level defensive zone operations” and included it in the curriculum for the 2nd group. As for college students, besides the curriculum, the school has supplemented education of local revolutionary tradition and love for the country and socialist regime while heightening their revolutionary vigilance against evil information on social networks. Teaching staff plays an important role in education and training. Therefore, the School’s Party Executive Committee and Board have paid due regard to selecting and assigning instructors properly. As for the 2nd group of learners who are key cadres and leaders of districts, towns, and provincial departments, committees and sectors, the school has chosen expert instructors from its Board, offices and faculties and invited commanders of the Military Region’s agencies to teach them. As for college students, the school has assigned young, enthusiastic, good instructors to teach. To satisfy the requirements set by the improved and standardized quality of instructors in general and those in charge of defence and security subject in particular, the school has created favourable condition for its teaching staff to study at colleges and universities for further education and dispatched them on fact-finding mission at units and localities. At the same time, it has maintained the order of training at units with emphasis placed on improving methodology, employing advanced technological equipment, and achieving the agreement in new points. In addition, the school has organized visits for cadres and instructors to and involved them in defensive zone exercises and civil defensive exercises in order to improve their knowledge, attach theory to practice, and enhance their practical ability. Due attention has also paid to holding and taking part in all-level excellent instructor competitions; encouraging teaching staff’s self-study; stepping up the movement of scientific research; bringing into initiatives in association with drawing up documents and textbooks, innovating teaching aids, and encouraging instructors to work with the School’s Scientific Bulletin and journals inside and outside the military. As a result, 100% of the School’s defence and security instructors have a Bachelor’s Degree and above, possessing political zeal, professional competence, and good teaching and managing methods, meeting the requirements set by the assigned task. Besides, the school has stepped up renovation of teaching method with a focus on learner-centred approach to address the issue of one-sided learning and teaching method. As for the 2nd group of learners, instructors mainly generalize about core matters and guide self-study; organize debates and fieldtrips for them to study and observe training and combat readiness in a number of military units. During the class and discussion, the school has encouraged learners to exchange their experience in leadership, direction and implementation of their task, while respecting critical thinking and creating a democratic, scientific educational environment. As for college students, during the lectures, instructors combine presentation approach with questioning & answering (Q&A) method and discussion, and proactively provide real situations for students to deal with, thereby making their lecture easy to understand and remember. During the process of practising military skills, the school has promoted the role of managerial cadres in cooperation with instructors to organize, guide and maintain students’ training activity. At the same time, it has closely combined training with regularity building and discipline observance, while further organizing field trips, such as those to museums and historic relics, etc. 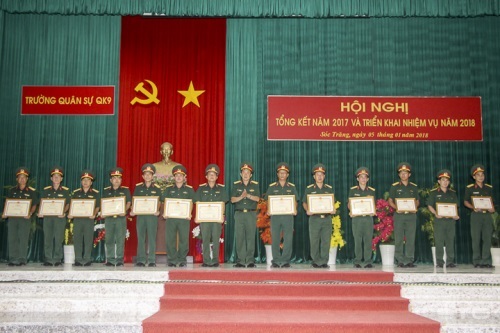 Those activities have equipped students with necessary military knowledge and skills, directly built up their qualities, collective lifestyle and sense of discipline, and reinforced their love for hometown and country as well as their readiness for military and defence tasks and Homeland protection. Due attention has been paid to building facilities and healthy educational environment. The school has effectively mobilized resources to acquire equipment and materials for utility classrooms, upgrade the system of training grounds for defence and security education, and better satisfy learners’ demands for accommodation, daily life and study. Moreover, the school has requested every instructor and managerial cadre to lead by example in ethics, manners, words and actions, while regularly organizing cultural and artistic performances as well as sport competition, thereby creating pleasant atmosphere, healthy, united, democratic educational environment, bringing into play learners’ activeness and self-awareness. Proper measures and flexible, effective approaches for defence and security education have greatly contributed to the school’s successful fulfilment of its political tasks. In 2017, the school was given the Flag of Emulation by the Ministry of National Defence. In the upcoming time, the school will continue to promote the tradition of the unit which was twice awarded the title “Hero of People’s Armed Forces”, further renovating and improving the quality of defence and security education, making contribution to the building of comprehensively strong all-people national defence and people’s security in the area.